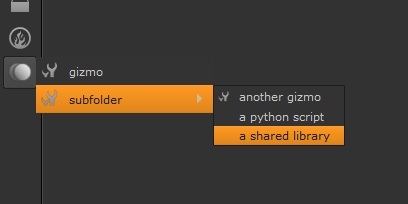 NukeShared is an easy to use plugin manager for Nuke, which makes manually installing plugins, gizmo's, scripts, and any other kind of add-on obsolete. Simply place the files to install in the right folder, and NukeShared will install them correctly in Nuke (with icons, subgroups and everything)! NukeShared works on render farms and can be loaded from a server. This works with all of Nuke's menu's (the Node bar on the left of the screen, the Nuke menu on the top of the screen, and the six others: Animation, Axis, Node Graph, Pane, Properties, and Viewer). Simply place all your .gizmo, .nk, .py, .dll, .so and .dylib files in the right folder, and they will automatically load in the right menu. Add PNG files with the same names as icons (for plugins/scripts and for folders). There also are folders for fonts, viewer processes, autorun python scripts, and there is an auto installer. The auto installer folder installs plugins that require multiple files (e.g. Cryptomatte and PixelFudger) instantly. Just place the entire downloaded folder in there and it works. 1. Place the entire 'NukeShared'-folder somewhere you like. Could be on a server, if you want to have multiple computers load their plugins from it. 2. Add the following line to the .nuke/init.py file (change 'path/to/NukeShared' to the actual path on your computer!). Create this file if it does not yet exist. hi, the script menu show well my python scripts but nothing happened on clic, any idea why ? So its an "ignore.dat" file with "username.dat" in the file and as the instructions say new user for each line.